Changing your outfit from your horse is a really big feature in Red Dead Redemption 2. It allows you to save several costumes and store them in your saddlebags, then swap them whenever you feel like it, even if you don’t have a wardrobe nearby. It’s good stuff, but it’s not obvious enough. A lot of people are struggling with it, which is why we’ve written this guide, which will show you how to change outfits from horse in Red Dead Redemption 2. How to change clothes from horse in RDR2? Keep in mind you can only do this with saved outfits. Go to a wardrobe – be it in a hotel or in your camp – and put together an outfit. Save it, then look at it in the menu. If you look in the lower right corner, you’ll see one of the options is “store on horse”. Press square (X on Xbox) and the outfit will be transported to your saddlebags. 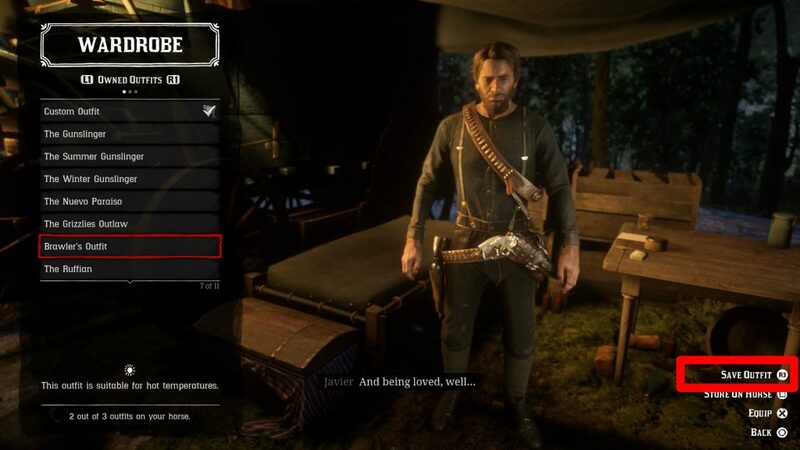 This will allow you to change into it while away – you can only switch into the handful of costumes you’ve stored on the horse. When you’ve stored all the outfits you want on the horse, you can continue your adventures. When the time comes to change clothes, all you need to do is approach your horse (you don’t even have to mount it) and open the weapon wheel. 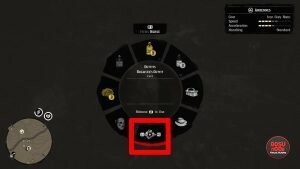 Press R1 (RB) twice and you’ll end up in the horse wheel menu. Select the field directly below the center – that’s where the outfits are. You can now use L2 and R2 (LT and RT) to cycle between saved outfits. When you have found the one you want, simply release L1 (LB) and your character will change into whatever you’ve picked out for him. Hahahahahha hilarious. But seriously. I googled this on the spot while playing the game. If the developers thought it would be obvious to players they need to lay off the pipe.